This is an annual training event sponsored by the IKKF. 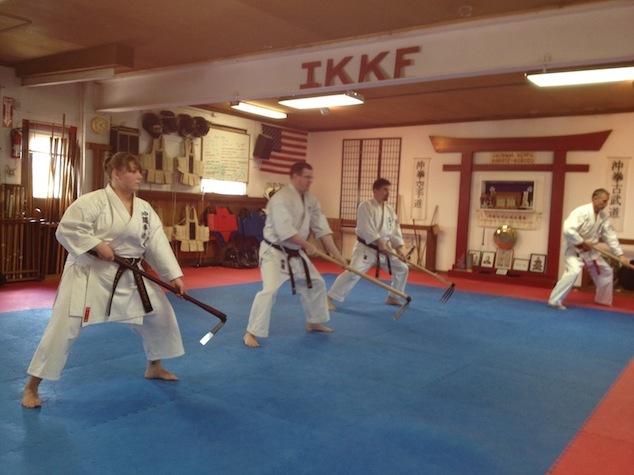 The focus is to provide training for IKKF Dojo Heads and IKKF Renshi, Kyoshi and Hanshi practitioners. 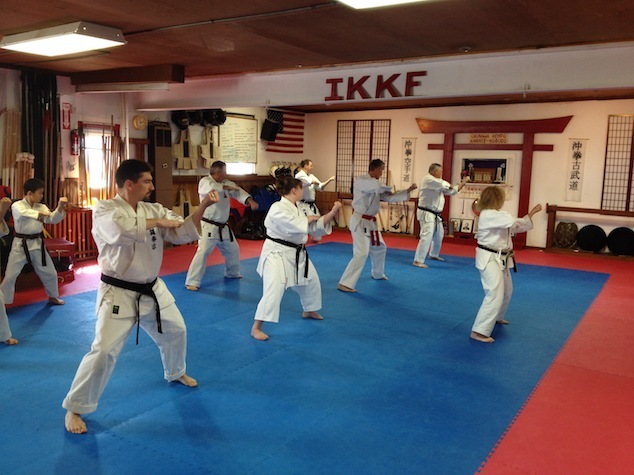 The training was held on April 26, 2014 at the IKKF Honbu, Reading, Pennsylvania. 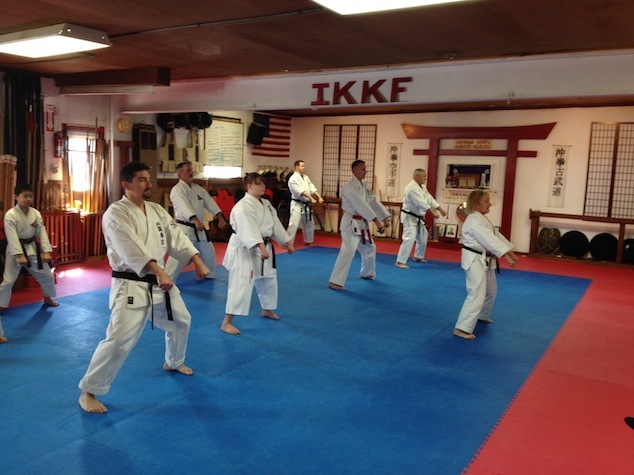 Hanshi Heilman leads a class through kata practice. Going through Nah Hanchi Nidan point by point. Participants working Kuwa (Okinawan Hoe) Kata.